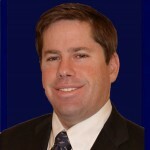 Richie Ryon serves as the Coastal Living Real Estate Group’s Insurance Advisor. Flood insurance policies cover physical damage to your property and possessions. Use the following list as a general guide to what is and isn’t covered, or simply refer to the Summary of Coverage to better understand your policy and coverage. Ask your agent for details on your basement coverage.